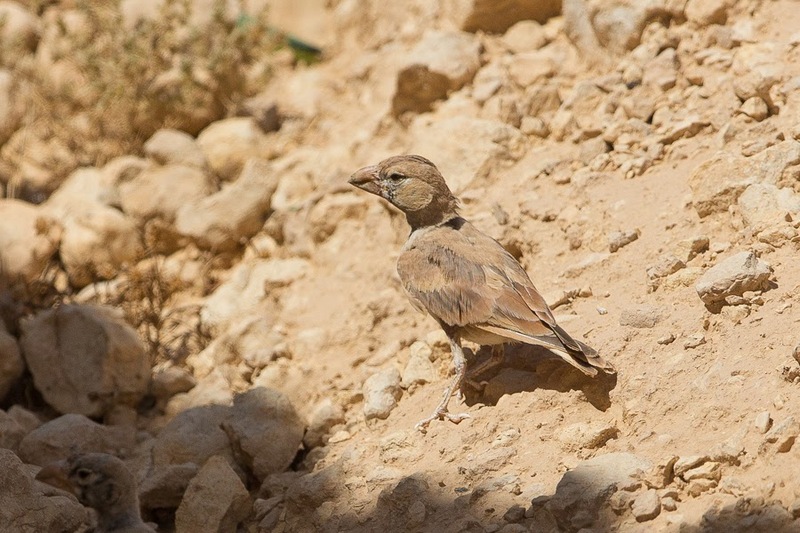 At the base of the escarpment across the road from where we had initially been birding we saw plenty more Desert Larks and Trumpeter Finches and then I spotted a large lark under an overhang of the escarpment in the shade. 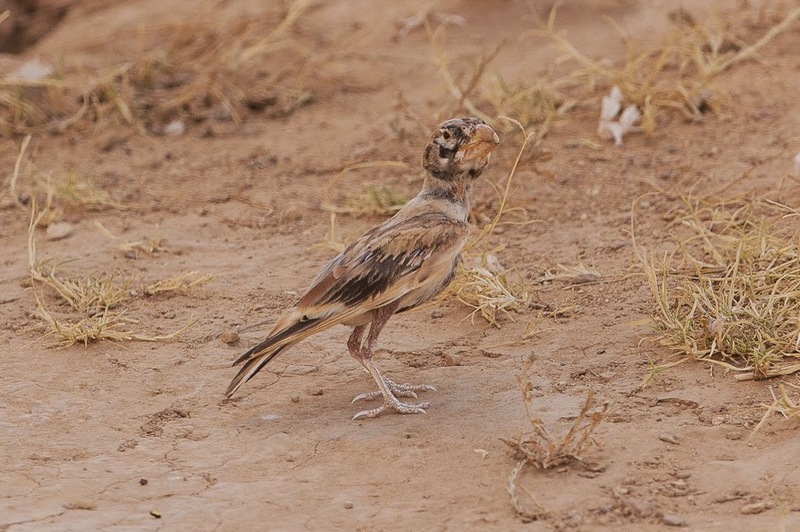 This turned out to be an adult Thick-billed Lark and a juvenile was close by. This was my third new species of the day and a bird I have not seen previously anywhere in the world. 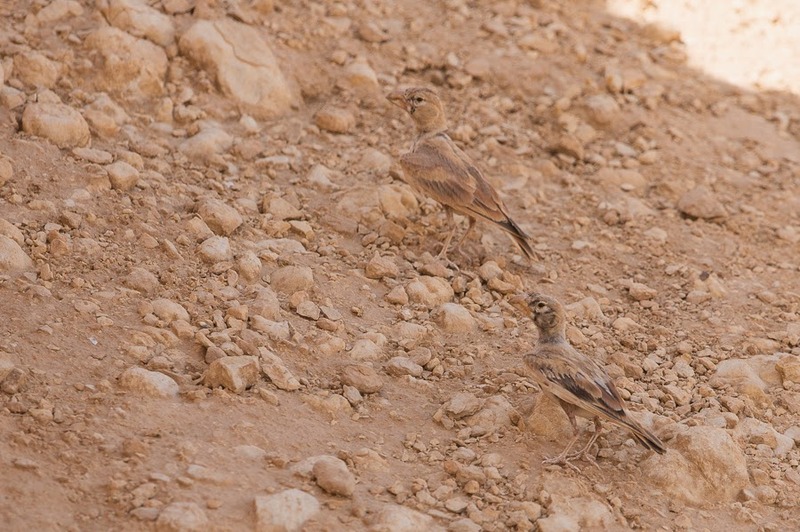 It was possible to get quite close to the birds but they always stayed in the shade so photography was difficult. When the birds flew the white in the wing was obvious and they were really good birds. 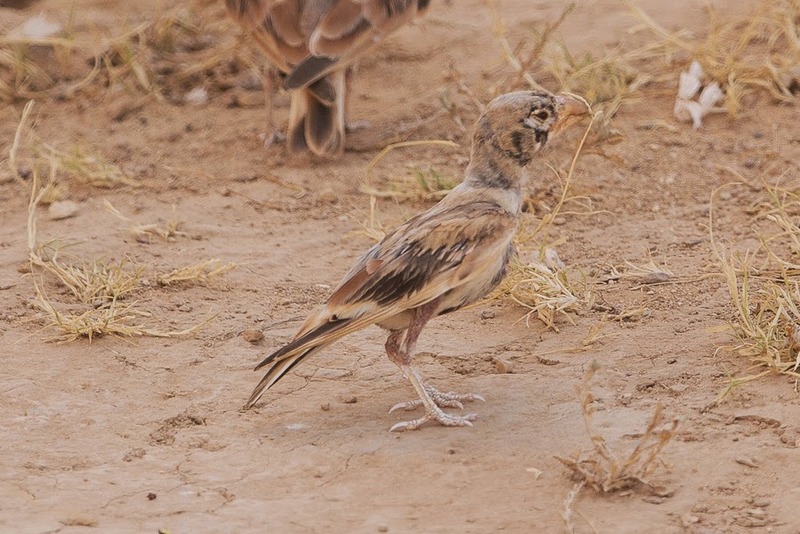 Despite the lack of species we saw some very good birds most of which do not occur in the Eastern Province. We will be back to this location next spring to see what else we can find. 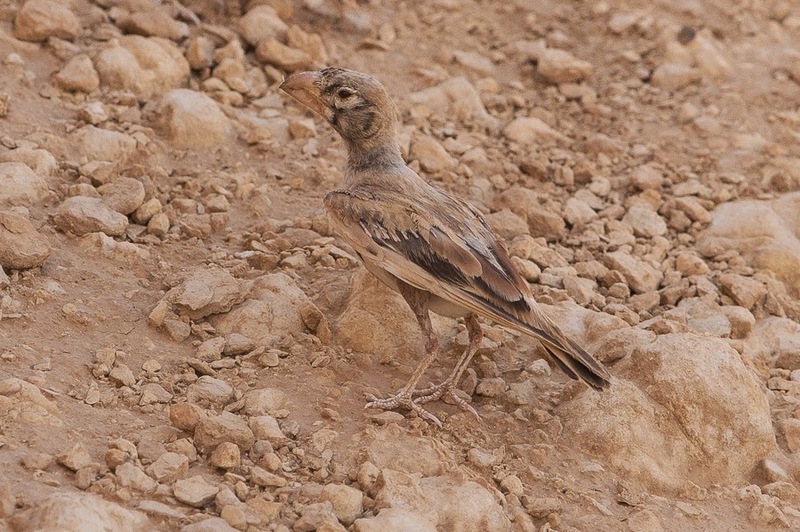 The species extends from western North Africa to Libya with an isolated population in the Middle East including northern Arabia. 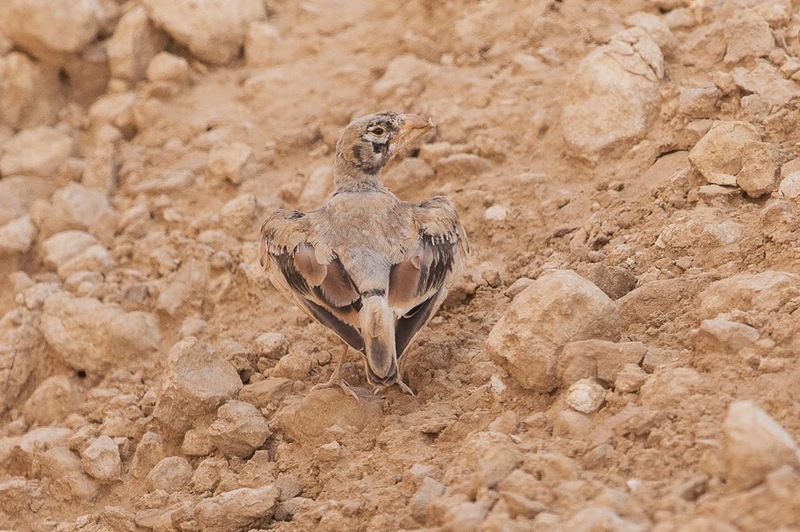 Wintering birds occur in central Saudi Arabia and breeding birds occur in rocky, pebble and gravel deserts of the extreme north of Saudi Arabia. 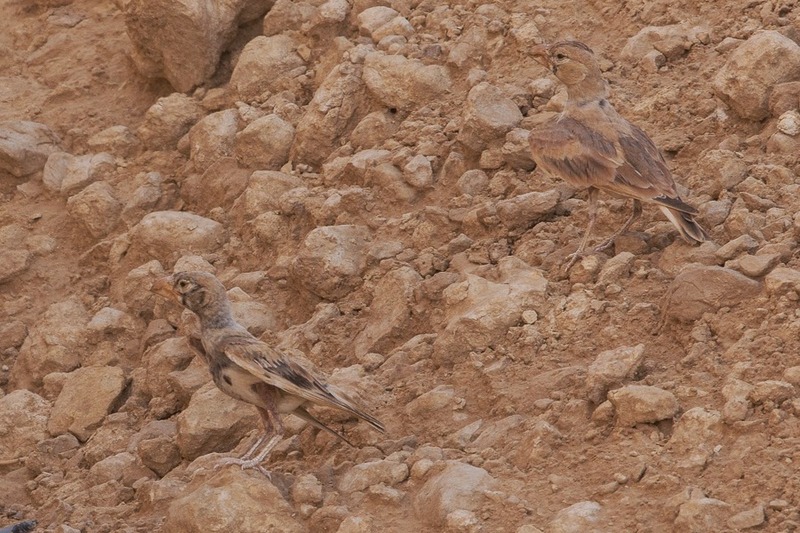 These records near Thumamah indicted the birds have bred here or nearby, an area where they have been seen previously and have been suspected of breeding but not proven. The good winter rain and large amount of greenery in the area may have led the birds to breed and stay in the area, but this is just my thoughts and there is no proof this is the case.